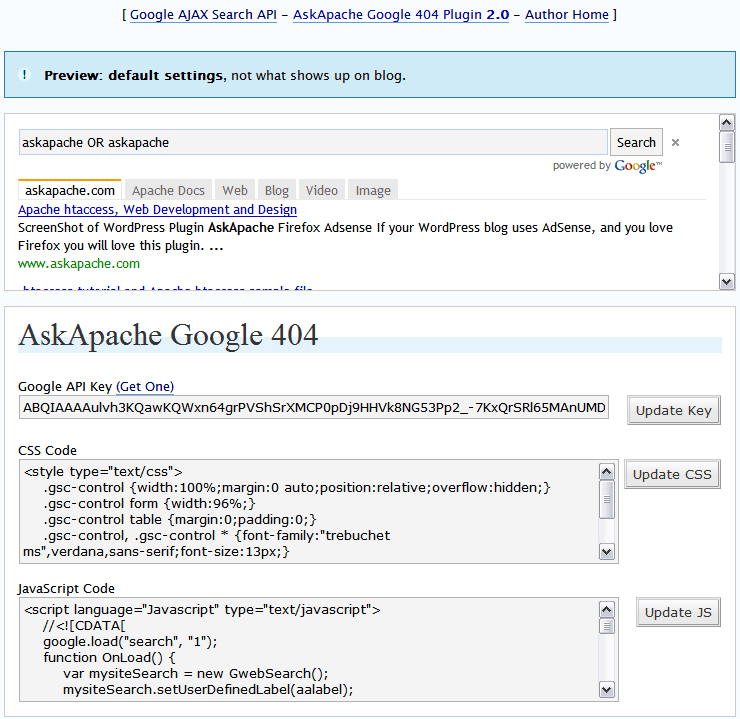 AskApache Google 404 is a must-have WordPress plugin that uses some ajax and a couple tricks to display a very helpful and SEO Error Page. 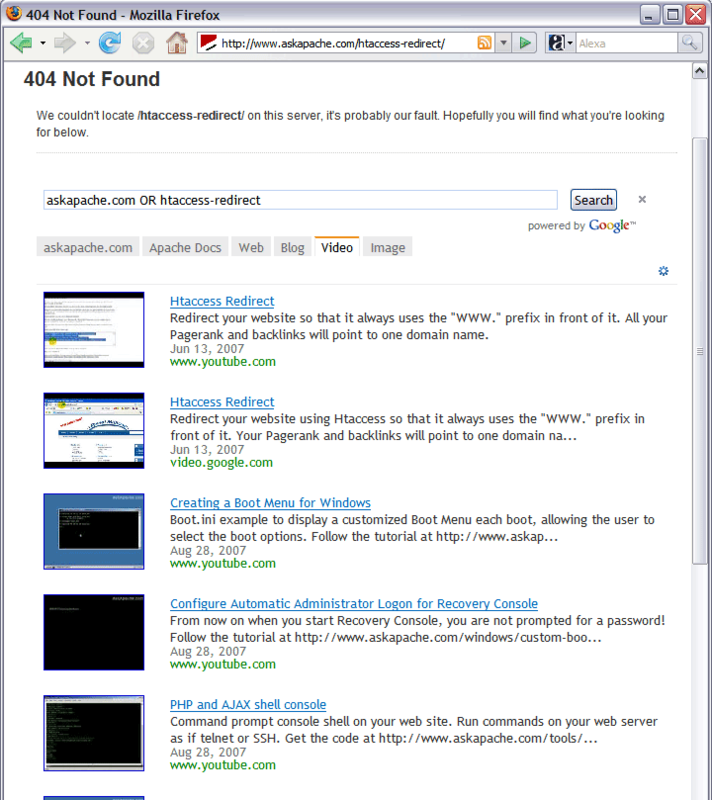 The default displays Google Search Results for images, news, blogs, videos, web, custom search engine, and your own site. Heads Up: This plugin will boost your SEO over time. And many additional features are in the works! This is one of my required plugins. It turns site errors and lost visitors into happy visitors and site traffic/seo. The goal is just like Google, to get the visitor who reached the error page where they really had meant/wanted to go in as little time as possible. 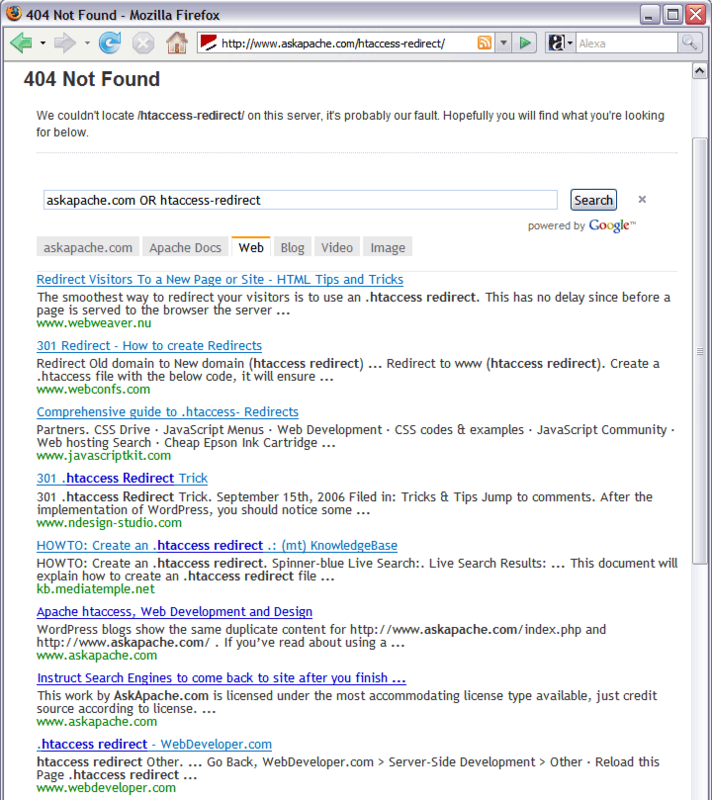 It can help your SEO in many subtle ways. Add the code to your 404.php template page by including <?php if(function_exists('aa_google_404'))aa_google_404();?> in your main content area. 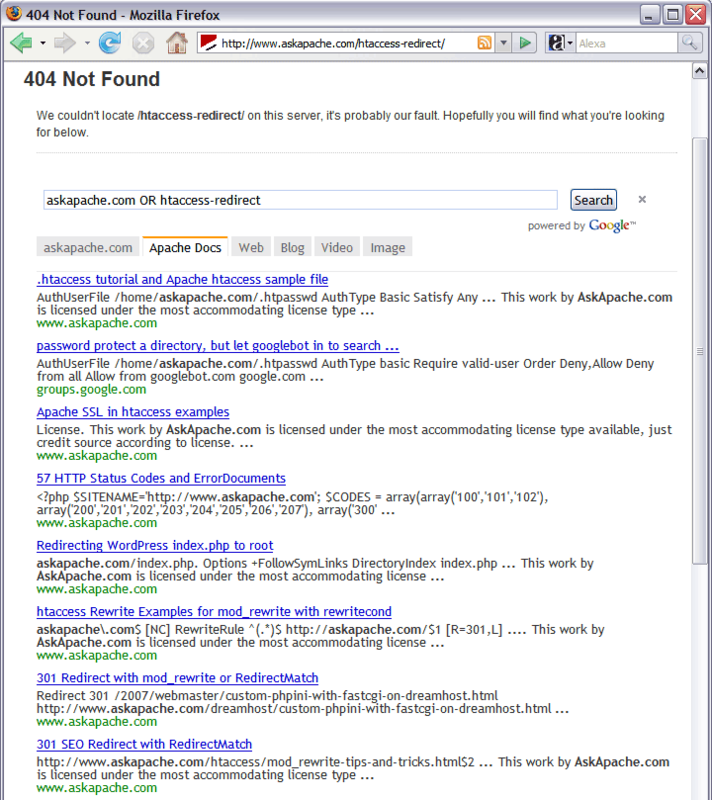 Do I need a 404.php template file? Only if you want to use this for your error page. 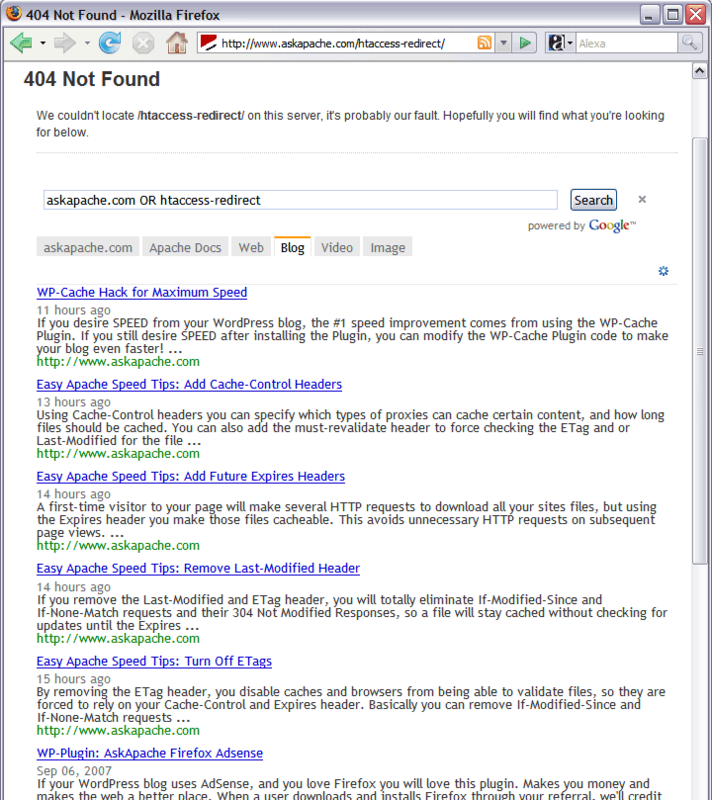 My 404.php page isn't being served for 404 Not Found errors!? 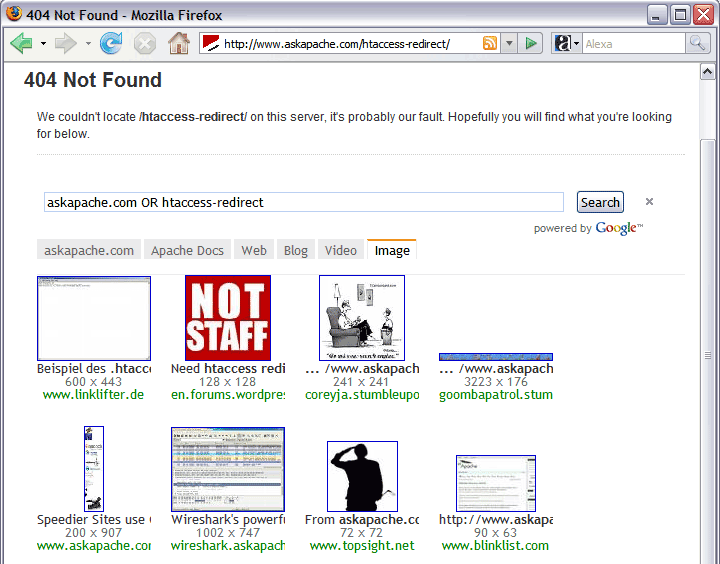 Add ErrorDocument 404 /index.php?error=404 to your .htaccess file.